Matt Allen, a Maine Earth employee, uses a power broom to sweep an area of sidewalk along Main Street to prep it for being paved on Wednesday in Bangor. 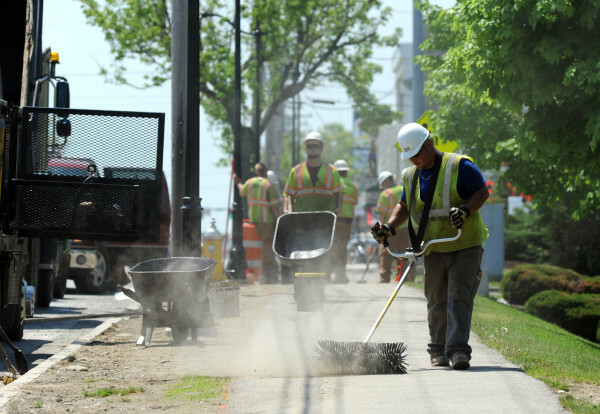 The effort is part of the Main Street Improvement Project in Bangor. 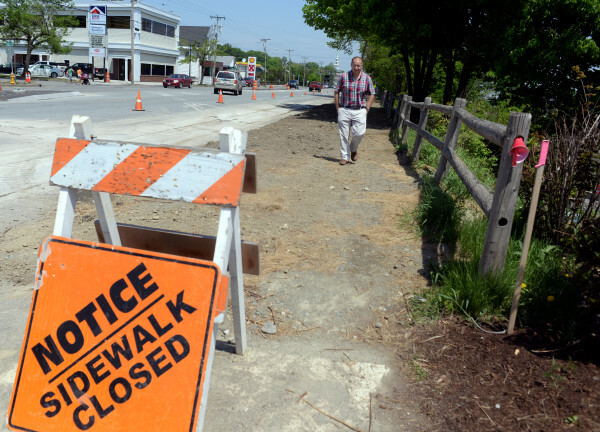 City engineer John Theriault walks up Main Street along the Waterfront Pavilion, where a 10-foot-wide multi-purpose sidewalk is being constructed, on Wednesday in Bangor. Kierie Piccininni (left), advocate for safe routes, and John Theriault, city engineer, cross Central Street on Wednesday in Bangor. A new and improved raised crosswalk will be constructed there. 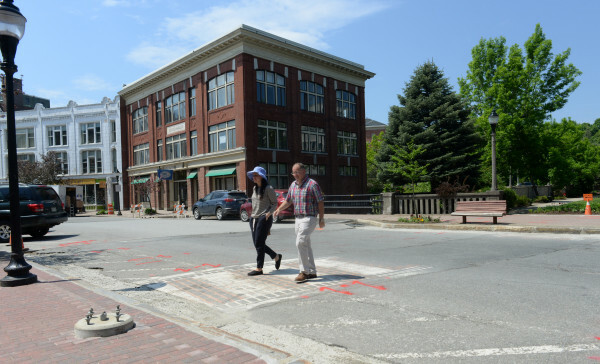 Over the last two years, several communities around the state have adopted “ Complete Streets” policies to ensure the needs of everyone on Maine roads are taken into account.